Back in 2014, I binge listened to about a half dozen audio books while repainting several rooms in our house. 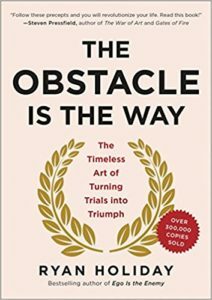 One of the books I read was Ryan Holiday‘s The Obstacle is the Way. The book brings to light the many influential and successful people that have made use of Stoicism – an ancient Greek philosophy of enduring pain or adversity with perseverance and resilience – as a way to do great things and become successful. A great mindset to adopt while enduring the endless arm cramps and discomfort of painting the entirety of your house’s interior. I’ve been thinking a lot about what I learned reading this book recently. My internal mantra of “doing hard things” as a way to find happiness and become more fulfilled draws a lot from what the stoics learned about life. This dedication to doing more and more hard things over this year has definitely led me to more life satisfaction. So it brought a lot of happiness to me this past week when I got an opportunity to hear Ryan speak at one of our EO Colorado’s regular learning events and then go to dinner with him afterward. 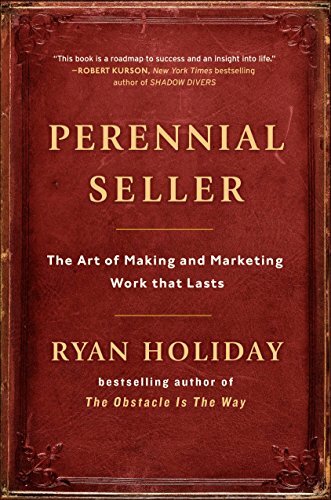 His talk was primarily about his newer book, Perennial Seller, but many of the questions, concepts, and dinner discussion overlapped his other works. In business, the majority of profits are derived from products and services that are not new. 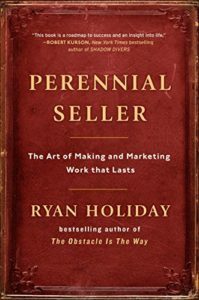 It’s the “perennial sellers” – the ones that need very little ongoing investment of sales and marketing that drive the majority of margin. Yet our culture is obsessed with the new releases and headlines-worthy things. This is the main topic of Perennial Seller. He looks at businesses, books, and philosophies that stand the test of time. And in these timeless things, he’s able to draw principles and lessons to apply to our own businesses, products, and lives. For example, he brought up how Amazon – while they do a lot of very complex things – spends a lot of their focus on the things that don’t change: people love cheap stuff, great customer service, and free shipping. Instead of thinking about what is popular now – think of how to create something that can last for many years to come. This came up several times in his talk and then again at dinner. It’s like being around people that love to attend startup and entrepreneurial events and talking about business ideas but aren’t super interested in doing the work to actually grow a business. Or people that want to have a book, but maybe less interest in actually writing a book. If we want to be successful with our goals and aspirations, we have to put the time into making them a reality. And that means doing hard things, enduring focus when distraction calls and often saying no to shiny objects in order to keep a solitary focus on what’s important. Ryan showed us some screenshots of the folders on his computer where he kept his daily book edits. It was a very long list of file names with daily iterations and versions. Proof that the road to finishing a book required many a day behind the glow of his laptop by himself. He said he carves out the same amount of time to market his books as he did to write it. So if he spends a year writing, he spends an equal year promoting. A useful rule of thumb, but the main takeaway here was a lesson I already really know which is creating a product is just a small piece of the success puzzle. We’ve spent the last three years at UGURUS almost exclusively marketing our 10-week Bootcamp. Part of me wanted to go create a new product after the first launch was successful. We had 34 graduates from v1. Instead, we ignored the shiny objects and hammered that core product. We are now closing in on the 1000th graduate. This takeaway stuck with me more than anything else. It was at dinner and the conversation turned to how he stays motivated to write and whether he feels the need to master something before putting the words down. He said something along the lines of writing mostly for his own benefit – to put ideas and thoughts and commitments on the page and out to the public to help him become better at what he does. It wasn’t always about mastering something and then writing as the “expert” – but often exploring ideas and trying to understand the world better by writing. As someone that used to write a lot and has recently been more focused on other aspects of my business, fatherhood, and personal wellness, this both inspired me and stung a bit. I realized that I had stopped writing mostly because I forgot who I was writing for. Over the years a lot of the feedback and comments I had received pushed me to think more and more about other people when I was writing, when all the while, I was the biggest beneficiary of taking the time to put my thoughts on the page. Using writing as a way to get better at my own life and hold myself accountable to a higher level. More about the process than an end result. The other thing that came up on this topic was how sometimes we find success at one thing – and the “punishment” for that success is we are pulled away from the very thing we become known for. His own example is becoming a successful author and writer. This success opened the door for a lot of things that weren’t writing – consulting, speaking, advising, and such. All things that are pretty extroverted and opposite of the craft he enjoys. I think this success punishment probably shows up for many entrepreneurs where the product/service/reason we got into something has faded into the distance due to growing and running our businesses. I know this has personally happened to me several times over the last 17 years. It’s a cycle and can lead to a lot of unhappiness and needs for “reset” moments. Is this [work] the legacy I want to leave? What do I love doing? And am I doing that right now? Why not? 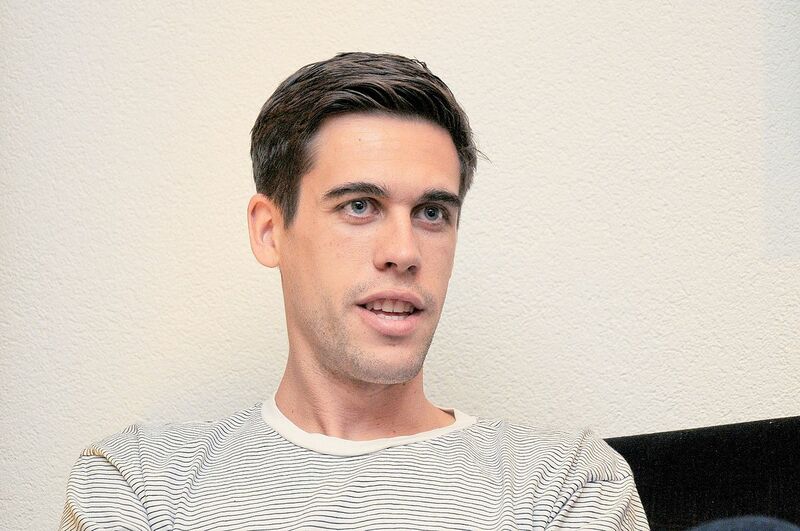 Thank-you kindly, Brent, for sharing your insights and key points from Ryan’s book. Over the past few years, writing has become a chore. My focus has wandered, and my intent to share information with others has been a distraction. Upon reflection, it’s easy to lose sight of the therapeutic value in organising your thoughts (for yourself), and spend too much time shaping them in ways that may benefit others. I’m OK not being an ‘expert’, because I’m always learning and improving.